Home Headlines Three Huge New Fragged Empire Releases, New Dice Sets and Bundles! Three Huge New Fragged Empire Releases, New Dice Sets and Bundles! 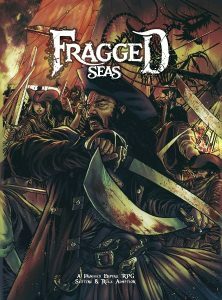 Today we’re really pleased to announce the release of three major new source book expansions for Wade Dyer’s Fragged Empire universe, Fragged Kingdom, Fragged Seas, and Fragged Aeternum plus two new dice sets and two new bundles to complete your Fragged Empire experience as part of our big Fragged Empire week. All these new titles are available as both print and PDF products as part of our Fragged Empire collection on Modiphius.net and all require the original Fragged Empire source book to play! To celebrate this intriguing sci-fi and fantasy universe which now spans four sources books and three campaigns, we’re also having a major sale with up to 30% off all Fragged Empire source books and adventures, plus the Fragged Empire Collection and Big Fragged bundle to offer you major savings when bought together. But first the exciting details on the new books! The Archdruid is dead, now is the time to reclaim a world scarred by a magical druidic war and overflowing with monsters. Much has been lost, waiting to be reclaimed by those bold enough to set foot outside of civilisation’s last bastion, Stronghold. It is a world where death and mystery wait around every corner, behind every tree, and in every rocky crag! Sail the sea-drowned world of Toil, where dark gods roam, adventurous captains of sail and black-powder-fed cannonade count themselves kings and queens of the horizon. It is a place of magic, myth, and adventure. 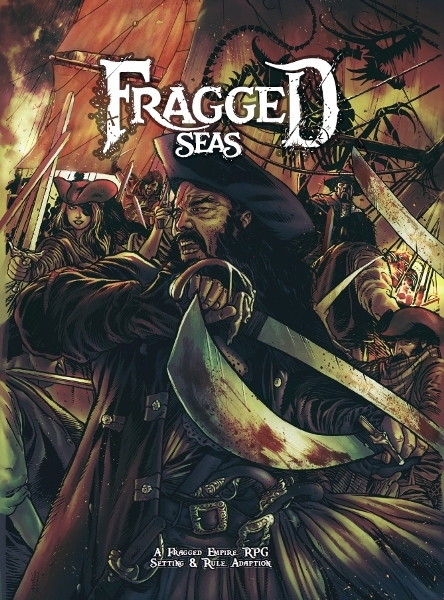 Navigate the waters of the Faerie Sea, but beware the greed of fierce pirates, the machinations of once-great empires, and the terrible monsters which hunt these dark waters! 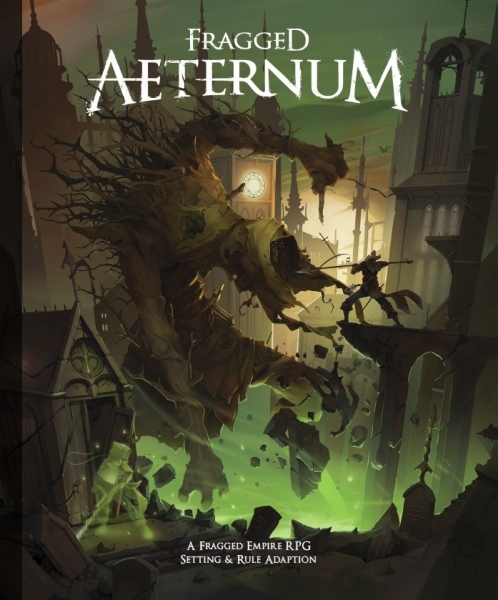 You are an immortal Tethered, a powerful warrior in the eternal city of Aeternum, , a place of strife and mystery, a metropolis that spans the entirety of known existence, . Here the souls of the dead do not lie still and heroic tragedies play out in brutal fashion, unacknowledged by the people the Tethered are sworn to protect. The flash of black powder and the gleam of blades in the moonlight accentuate the struggle. To celebrate the release of these amazing new Fragged Empire expansions and source books, we’ve also got brand new sets of custom dice to join the existing 3d6 dice set! These comprise 3d6 sets for both Fragged Kingdom and Fragged Aeternum, which join the existing Fragged Empire custom 3d6 Dice Set to compliment your Fragged adventures! Finally rounding off our are two Fragged Bundles to Fragged Empire Collection and Big Fragged bundle. The Big Fragged Bundle contains all the books in the series, including all these new source book expansions, plus the Fragged Empire book and three adventures, Alien Flame, Genetic Spectre and Let Sleeping Gods Lie for £215 just saving you 30%, when bought separately. 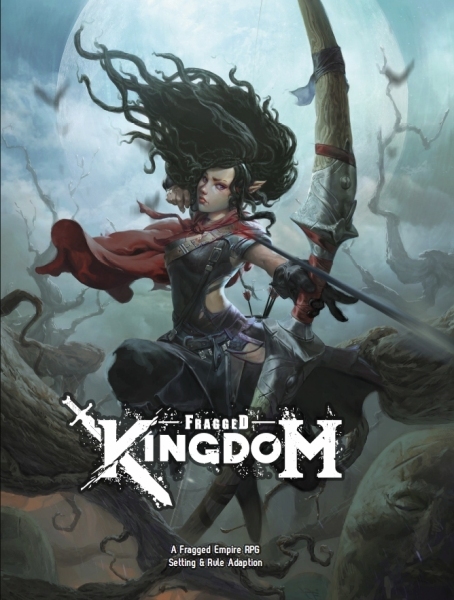 The Fragged Empire Collection is priced at just £110, saving you another 30% and comprises all the same books, but without the three new releases of Kingdom, Seas and Aeternum.